Today, the United States locks up more of its people per capita than any other nation in the world. Currently, over 2.2 million people are housed in federal and state prisons, and that number continues to grow at unprecedented rates. The federal prison system alone has gone from an annual budget of $220 million in 1986 to $4.5 billion in 2005 and $6.9 billion in 2013. The costs of operating today’s prison industrial complex are astronomical. Federal and state budgets have been pressed to their limits. Programs have been cut to the bare bones. This along with the loss of Pell Grant funds for prisoners which occurred in 1995, with the passage of the Omnibus Crime Bill, has created a disturbing situation in America today. In fact, many believe it to be a crisis; others a disgrace. The sad fact today is that for those individuals housed in our federal and state prisons it is nearly impossible to get a college education. As unbelievable as it sounds, it is true. In our prisons today, few accredited college courses that lead to a degree are being offered, and access to educational grants and loans are almost nonexistent. Because there is no money available to pay for college-level courses, the education department within each prison provides little assistance in helping the few who do have family that can pay for classes. No funds for college and little assistance from prison education departments. This situation is somehow now a reality in, what is clearly, the wealthiest and most civilized nation in the history of the world. Most people are unaware of a serious problem that exists in our land. And, it is a problem that is growing rapidly as our society locks up more and more of its citizens. Since the demise of Pell Grants and federal loans for prisoners, which occurred in 1995, it has become nearly impossible for an incarcerated individual to obtain a college education. Currently, there is little to no money available to pay tuition fees, and prison education departments provide little to no guidance and help in determining what educational options are available. Within the walls of any particular prison, there are likely only a few individuals with both the desire and the financial means available to pay tuition fees. This, coupled with the fact that over 54% of today’s prison population does not have a high school degree or General Educational Development (GED) certificate, has caused the educational staff to focus their efforts on helping inmates obtain their GED. Certainly, this is a commendable effort. But, what about the other 46%? Shouldn't there be educational opportunities for them as well? The information age is now upon us. Today, someone who doesn't have a college degree is going to have to struggle just to survive. Once the title of “ex-con” is added, especially to an individual without an education, it becomes a recipe for disaster and recidivism. A college education provides a person with important marketable economic skills which can make a significant difference in his ability to provide for his family. But beyond that, we know that there is a cognitive metamorphosis that occurs during the intellectually rigorous process of higher education. The student also acquires a new worldview. A thinking change occurs in how the student views the world, himself and his place and value in society. In short, he becomes a different and better person. Certainly, some within today’s prison system need to be rehabilitated. Many others, however, need to be "habilitated". Due to the way they were raised and the lack of proper family influences, some individuals have never been properly “habilitated” to begin with. The sad fact is many children have grown up without the security and nurture of a loving family. Their parents were on drugs, or neglected them, or maybe even abused them. Fathers were absent. Whatever the reasons, and there are many, these children grew up without the benefits, advantages and opportunities associated with a normal childhood. They have never had the opportunity to become a part of the larger culture to begin with. And while some exposed to these unfortunate childhood experiences are able to overcome them and grow into productive members of the community, the simple fact is that others do not. Some of those individuals end up in our prisons. It is there that they can be “habilitated” for the first time. Whether it is "habilitation" or rehabilitation, the prison years should be “invested” years instead of “wasted” years. The time should be spent engaged in the process of “transformative learning”; the kind of learning that changes a mind and transforms a life. Over 54% of adults housed in prisons today have never graduated from high school or obtained their GED. Because of this, the education departments of prisons are geared toward offering programs and assistance for those inmates desiring to obtain their GED. Obviously, helping these inmates obtain their GED is a good thing. But once obtained, that is the end of the road for them – at least until they finish their sentence and are released back into society. But by then, often many years have passed – wasted years – that could have been invested in gaining an associates or bachelors degree. In today’s world, releasing someone back into society with a GED has in reality, done very little for preparing him or her to function successfully. However, if he or she were to obtain a college degree while in prison, his or her chances for a successful re-entry into the community would be greatly enhanced. The prison education departments certainly need to continue their good work in helping inmates obtain their GED certificates. But, there needs to be another avenue available to inmates who desire to achieve an even higher level of educational achievement. The education departments of our prisons need an effective turn-key system for providing a solution to this problem. The Prison Education FoundationTM has developed that turn-key system and provides it to our nations federal and state prisons at no cost to them. We do not charge the prisons, the prisoners or anyone else for the services we provide. Basketball leagues, volleyball leagues, softball leagues, bocce ball tournaments, horseshoe tournaments, chess teams, handball games, weight lifting, pottery classes, leather craft – these are only a small sampling of the programs available in most prisons today. These are all formal, official, organized programs offered by today’s prison recreation staff. Did you say staff? Yes, today’s prisons have a staff of “recreation specialists” (that is their official title) who plan, organize and oversee these programs. The current thinking is that by giving the inmates recreational activities in which to participate, they will be easier to manage because they will have something to occupy their time. While this may be accurate, it does nothing to prepare an individual for his or her eventual release. It does nothing to rehabilitate the inmate. But, with the limited dollars available in today’s prison system, it does offer the “biggest bang for the buck” in terms of giving inmates something to do... even though it is non-productive. In the midst of all these programs and activities in today’s prisons, the one thing that is glaringly absent is post-secondary education. Quite frankly, in most cases there is none. The prisons have no program for helping someone select a degree program and get enrolled; and no money is available to pay for tuition fees. For the few who are able to surmount the lack of information regarding options and the monetary hurdle, they are on their own all along the way. However, most are not able to overcome these obstacles and therefore spend their days playing basketball and making pottery. The Prison Education FoundationTM was founded to solve the prison post-secondary education problem. In conjunction with several properly accredited, highly regarded and affordable colleges, Prison Education Foundation has developed a turn-key system that is simple and effective. Various associate and baccalaureate degrees are now available to men and women housed in our prisons. The degrees offered through these schools have been assembled by the Prison Education Foundation into a formal program. This program is now available for use in any prison education department or may be accessed by the prisoner or his family directly from the Prison Education Foundation. The barriers to information, available options and class registration have been removed. And through the generosity of our schools and supporters, the foundation is even able to offer a limited number of scholarships to qualified individuals. Certain eligibility requirements apply in order to qualify for scholarships; and certain standards must be achieved in order to maintain a scholarship once granted. 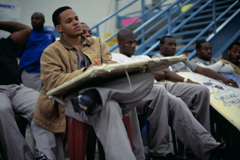 Prison Education FoundationTM has removed the information barrier for all of the men and women housed in our nation's prisons; and for some, it has also removed the financial barrier by awarding scholarships. Recidivism is a continuing plague on our society. Well over 50% of ex-convicts will be rearrested and return to prison. The deck is stacked in so many ways against the successful, law-abiding transition from convict to citizen. This is especially true when the prison years were wasted years and the individual re-entering the community is the same individual, with the same thought processes and economic skills, that was taken out of the community several, or more, years ago. Beginning in the 1970’s, a series of recidivism studies began to reveal that the more education a prisoner earned, especially at the post-secondary level, the less likely he or she would return to prison. Now with several decades of research to draw upon, it is generally accepted that those prisoners who earned an associates degree cut their chances of returning to prison by more than half to around 25%; and for those earning a baccalaureate degree their recidivism rates drop into the single digits. Without question, the rigors of the educational process change a person for the better. Clearly, the educated person is better able to succeed in our economy and our world. Educating a person during his or her prison years greatly reduces his or her chances of recidivating. Notwithstanding this, the passage of the Omnibus Crime Bill in 1995 virtually eliminated all post-secondary educational funding for prisoners. Unfortunately, this was a part of the overall politically correct “get tough on crime” theme of the times, as well as overextended budgets. The other relevant factor in the elimination of federal funding for prisoner tuition is that it was only being utilized by 2% of the prison population. The vast majority of prisoners were either ineligible (54% of inmates lack a diploma or GED) or unwilling to undergo the rigors of the educational process. The simple fact remains that since 1995 the ability of people in our prisons to obtain a higher education has for all practical purposes been eliminated. This, at the same time that longer sentences have become the norm and our prisons have filled to capacity. 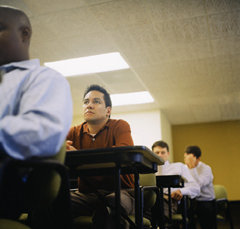 Does earning a college degree reduce recidivism? Study after study says that is does. Without question, a prisoner’s behavior can change for the better through proper education. Thus, it is cost effective both socially and economically. However, merely reducing recidivism rates and taking actions based solely on their social and economic cost effectiveness should not be the deciding factor. Sometimes, when a human life is at stake, as well as the future of his or her family, simply making a difference in that individual’s life and family circumstances trumps the cost-benefit analysis. Providing the opportunity for prisoner education is, quite simply, one of the most humanitarian things that can be done; and it’s clearly the right thing for an advanced society, such as ours, to do. An ex-convict faces many struggles and challenges when re-entering the community. Often, many things have changed – some things dramatically. Family situations are different; and sometimes there simply is no family there at all. From finding housing to meeting transportation needs, all of it represents a challenge. But probably the biggest hurdle is obtaining employment. It is often difficult to find a good job, especially for someone without a college education. And, when the title “ex-con” is also attached, it presents an undeniably difficult situation. In fact, the ex-con employment issue is the prime contributing factor to recidivism. So, obviously, enhancing an ex-offender’s employability is of benefit to him or her, as well as to the community. For many employers, possessing a college degree favorably influences their hiring decision and offsets the social stigma attached to the ex-con status. In addition to a college education, having a network of supportive relationships is critical to an ex-cons future success. Some individuals have no family support on which to rely. Others, due to their incarceration, have financially and emotionally wounded families. In either case, supportive and helpful relationships are essential. To that end, the Prison Education Foundation, through its ConnectPoint Network, seeks to connect the inmate and his wounded family to a local community mentor and support team as quickly as possible. Often, this is in conjunction with the local religious community back in the prisoner’s hometown. The community ConnectPointTM team offers encouragement and assistance to the inmate and his or her family during the incarceration years. They correspond with the inmate and, if possible, visit a couple of times a year. They connect with his family in the community to be of encouragement and assistance as well. 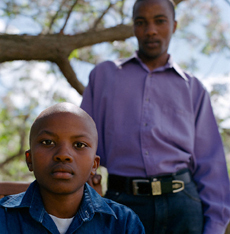 The relationship grows during the incarceration years and forms a foundation of support upon release. Thus, the ex-con and his family experience the care, nurture and acceptance of established members of the community. The local ConnectPointTM Network organization and its team members provide tangible assistance to the ex-con and his family upon release. They provide help in securing employment, locating housing and transportation, and meeting other practical needs as well. They offer important relationships, friendships and positive accountability. The local church or other mentoring support organization becomes the point of connection to link the struggling family to the community so that restoration, healing and wholeness can occur. In the 1993-94 school year, the last school year before the demise of the Pell Grants for prisoners, over 23,000 federal and state inmates received Pell Grants to pay for their post secondary education. That represented 2% of the prison population at the time. Today, with over 2.2 million people in our federal and state prisons, 2% would represent over 40,000 people. That’s a huge number. Providing that 2% with an annual scholarship of even $2,500 per person would require in excess of $100,000,000 a year. Obviously, at this time Prison Education Foundation cannot provide scholarships anywhere near this number, but it can provide some. Every single scholarship provided means a life will be changed. The story is told of a little boy walking along the ocean one day. As he walked, he saw thousands of overturned crabs washed up on shore and struggling to survive. So he began throwing them, one by one, back into the water as he walked along. His father, walking beside him, asked why he was going to such effort to throw back some of the stranded crabs when there were so many; and that it really wouldn't make any difference. With that the boy bent over, picked up one crab, threw it back into the water and exclaimed, "It made a big difference to him." It made a big difference to him. Copyright © 2015. Prison Education Foundation, Inc. All rights reserved.